I could just imagine how busy everyone is right now, with family in town, or visiting family elsewhere. Cleaning up after Christmas, getting ready to ring in 2016. Oh, the list goes on. 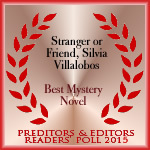 In the midst of the end-of-year craze, I would like to take a moment to tell you that my novel, Stranger or Friend, has been nominated for this year’s P&E Readers Award in the mystery category. I found out not long ago, and since I shared so much during the year about the ups and downs of publication, and since some of you read the book and this nomination in highly dependent of votes from readers, here it is — Stranger or Friend, for your consideration. Link below. If you scroll down you’ll see it (after the ad). A few steps are required after entering name and email, including email confirmation. Happy New Year and hugs to all. Looking forward to reading all about your New Year’s parties soon. It’s that time of year again, when family is everything. Sure, that’s true all throughout the year, but we come together as a unit during the holidays more than ever to celebrate, exchange gifts, enjoy food, and to simply enjoy each other’s company. That’s what I love most about Christmas, being with family. Watching the wonder in a child’s eyes as we pass down family traditions, tell stories, snuggle in front of the TV with large bowls of popcorn and watch Christmas movies. I grew up in Europe, so St. Nick brought me gifts on December 6th, not Santa — a very similar idea, just a different day. My son, growing up in the U.S. with parents from two different continents, gets both St. Nick and Santa, even if he doesn’t believe in either anymore. But he does believe in, or holds dear, the spirit of the holidays. There are so many different celebrations this time of year. In my office (see view from my office window above), we have people celebrating Christmas, Chanukah, and the Diwali Festival — the Hindu Festival of Lights — that takes place at the end of October but many extend to the end of the year. 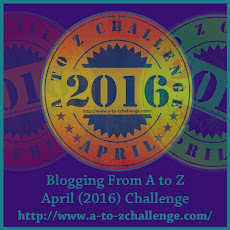 What makes blogging extremely satisfying is meeting so many wonderful bloggers from all over the world. Reading your stories. So, to all my dear friends, I wish you happy holidays and all the joy and happiness your heart can hold for the New Year.